Being a digital artist requires a lot more than the ability to draw well. Of course, without knowing the latter one can never be an artist, however a certain level of technical skill is needed to be successful as a digital artist. The primary part of the technical skills which are necessary for digital artists include the ability to use a software to digitise their art. And while the artist is not merely as good as their software, it matters quite a lot. A good digital art software can help save time, create personalized pallets, and is easy to use. There are a huge number of such software available and not all of them are meant to perform the same tasks. So here are some of the best ones to look out for. 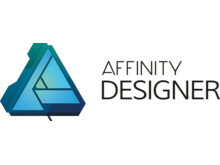 We did mention that adigital art software needs to be easy to use, however they do need a certain level of training in order to be used fluently. 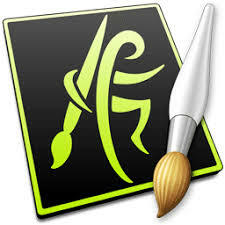 Artweaver 6 is one of the best ones in this category. It provides a huge range of brushes configured for various purposes which means as a beginner you will not have to try and configure them yourself (and fail). Although, if you wish to self-configure, the options are available. There is also the option of customising the entire UI which makes Artweaver 6 one of easiest software to grow into. The only downside being that this is not meant for heavy workloads and can lead to crashing. 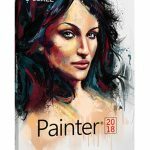 Corel is a household name to the world of digital arts, and the new painter they released this year does uphold that name well. There are hardly any options which Corel does not include in their software and this one comes with 8 new ones; such as the ability to apply a texture source which makes playing with textures so much more fun. If a Corel user is upgrading to this version all their previous add-on purchases such as brush packs will be continued over to the new version. They also have a free trial version, so you get to know what exactly the software does before buying it. While the rest of its features are the industry standard ones, what TwistedBrush provides you with is more than 9000 pre-customized brushes. You still can customise your own, but we doubt that’d be necessary. 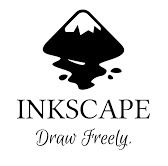 Great for use in a drawing tablet and can be used to create almost any form of digital art.So, if you are picky about having the perfect brush size and specifications, this is definitely the right pick for you. Want to draw manga and monsters? This is probably the best choice you will find. Primarily because now it’s available for absolutely free with a certain fee for organizational usage. But that still makes Autodesk Sketchbook one of the best deals available considering all its amazing features. So even if you are suspicious of free products, you can give it a run based on our words. And if still not satisfied, check out Clip Studio Paint for similar purposes. We call it quintessential because of the number of plug-ins that Adobe keeps providing to this software making it usable for all purposes. The level of customization provided in Photoshop should make any pro digital artist happy and the cloud subscription can allow you to save and share all your presetsand also receive from others. They also have a 30-day free trial option available. Keep in mind that having a good software is not sufficient unless you have a good tool as well. Here’s a list of the top drawing tablets you can check out to get a more comprehensive understanding of the subject.